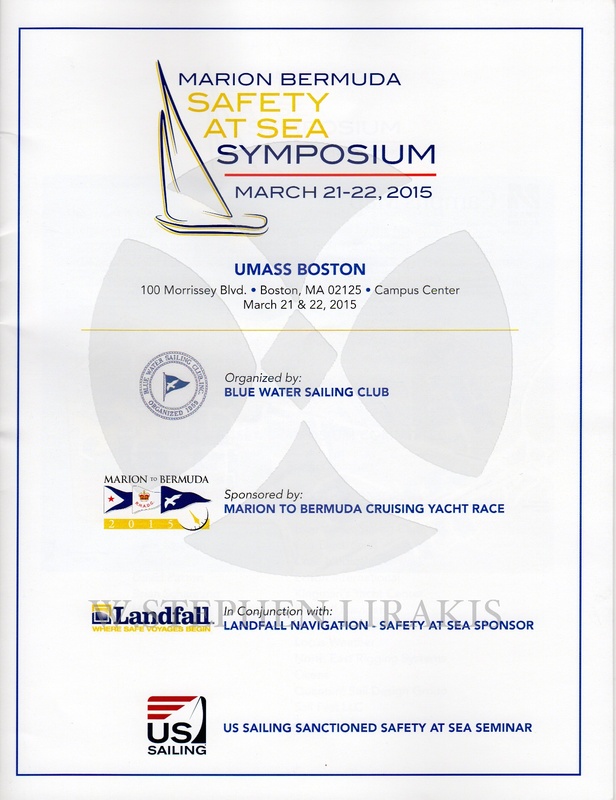 The safety at sea seminar, another step in preparation for the upcoming transatlantic race. one more thing checked off the list. 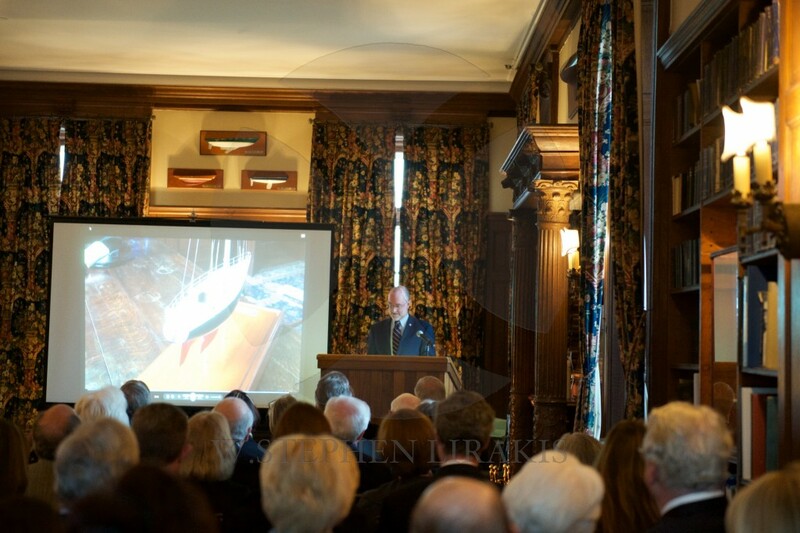 I managed to catch the presentation of the as built model of “Carina” by robert and Jonathan Nye to the New York Yacht Club. A memory of the legacy of “Carina” and the Nye family. 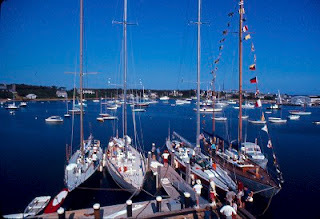 In 1971 we sailed “Carina” first to Harwichport, on Cape Cod. 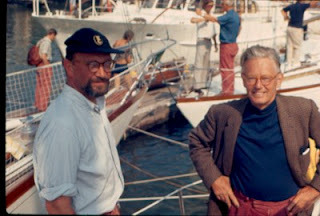 David Steere, the owner of “Yankee Girl” (sistership to Charisma”) gave a large party for all involved inviting astronauts as guests of honor. The next morning very early, to catch the tide. We left, after a late night. “American Eagle”, Yankee Girl” and Carina” We took a more northerly route. and made a very quick crossing, 14 days. beating the other boats by a day. They had taken a more southerly, warmer route. In fact, I have never beaten this time, in a race. I had purchased a BB gun and hid it on the boat. I would take the cans and glass out of the garbage, throw it over the side and shoot at it as it trailed off astern. I am not sure the English Customs would have taken to the idea of the gun, even a BB gun arriving in England. As I continue to “mine” my papers and photographs, new material comes to light. I have previously written about my “Carina” years and the Nye family. Not enough can be said about their involvement in yachting. Here are copies of the Bermuda newspaper after our win. 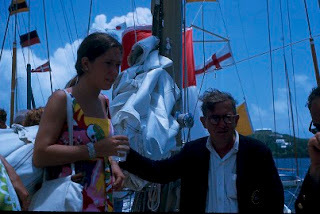 and a photo of Bodie Rhodes and one of his daughters Robin. I do not appear in many photos, so this is unusual. I will also mention, if I did not before. 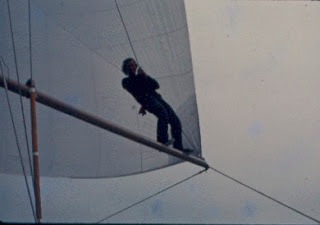 We rounded Argus tower ahead of “Ondine”(73 foot Tripp design) boat for boat. 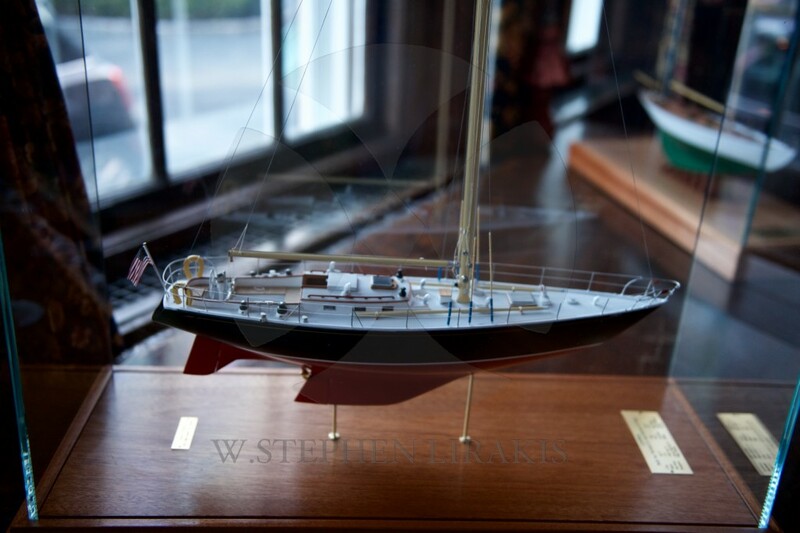 No story about yachting is complete without “Carina” belonging to the Nyes. There is probably no boat in yachting history that won more races. 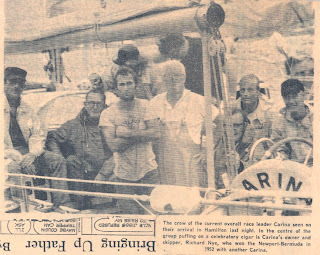 There were several yachts bearing the name, all belonging to the Nye family. The success was a father,son story, complementing each other perfectly. 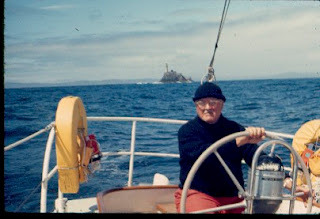 I started sailing on the last “Carina”a 48 foot sloop built in 1969, designed by McCurdy&Rhodes. They had been tasked to design a boat that would rate well under any rule and sail fast naturally. (The rating rule was in transition and no one knew exactly what it would be, the existing CCA rule in America was being melded with the RORC rule in the rest of the world. )the boat is still winning races today. In 1969 of 32 starts I believe there were 29 firsts, the rest were 2nd or 3rd. 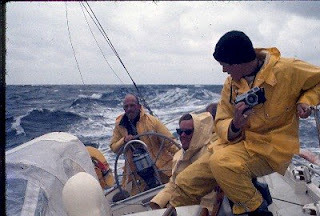 We won our class in the Trans-atlantic race from Newport to Cork, Ireland. 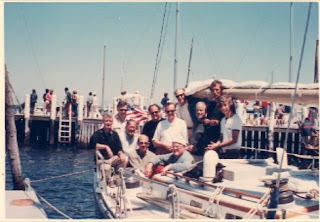 From there we went on to Admiral’s Cup and were part of the winning United States team. 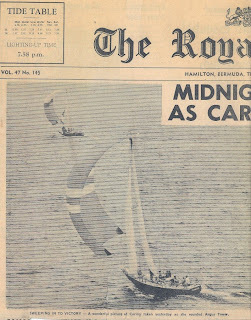 1970 we won the Bermuda Race. 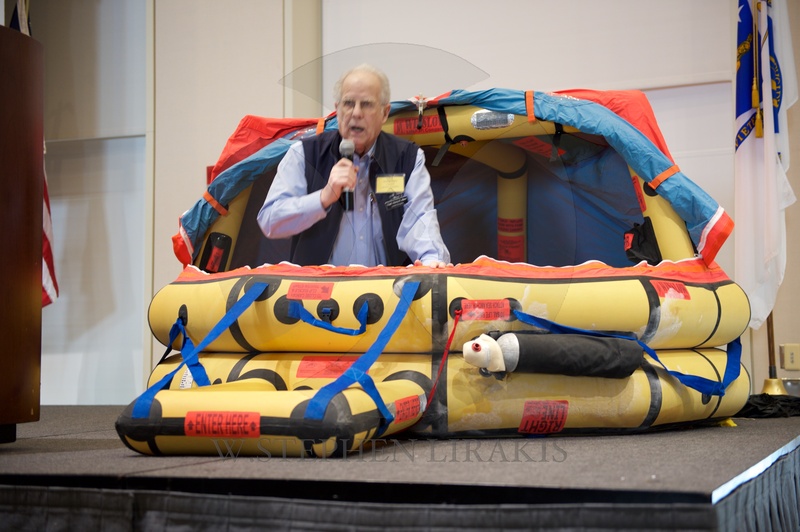 and probably the Northern Ocean Racing Trophy, give for a cumulative score based on several races, block Island race, Stamford Vineyard race, Marblehead-Halifax race. 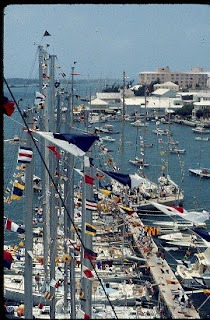 For me the Bermuda race was pier head jump flying in from the intercollegiate national championships. 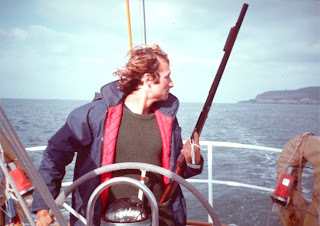 1971 we sailed the boat across the atlantic again to participate once more in the Admiral’s Cup and Fastnet race. 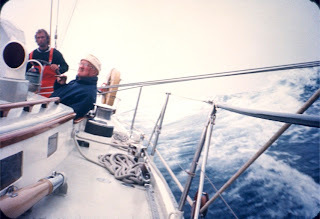 I only sailed those three seasons on the boat, but it’s indelible mark was with me forever.